The Badminton Association of India owns the franchise league called Premier Badminton League (PBL) 2017. The Indian Badminton League which was founded in the year 2013 is the one that has been renamed to Premier Badminton League. Just like the cricket premier leagues, the Badminton league also takes players through auctions. Top players like Saina Nehwal have been selected to play this game. However, this year, Olympics silver medalist PV Sindhu is the star of the game and has stolen the limelight. This year with the Olympic medal in the country, the event is expected to grab more eyeballs. There will be six team players in the game mainly Delhi, Hyderabad, Chennai, Lucknow, Bengaluru and Mumbai. All the teams will be playing at their home town and in other towns. Each of the franchise will have Rs. 1.93 crore to make their team. Each of the players – in fact the top players will get Rs. 65 lakh to play in this league. As many as 16 Olympic medalists will be called from around the world for this tournament. 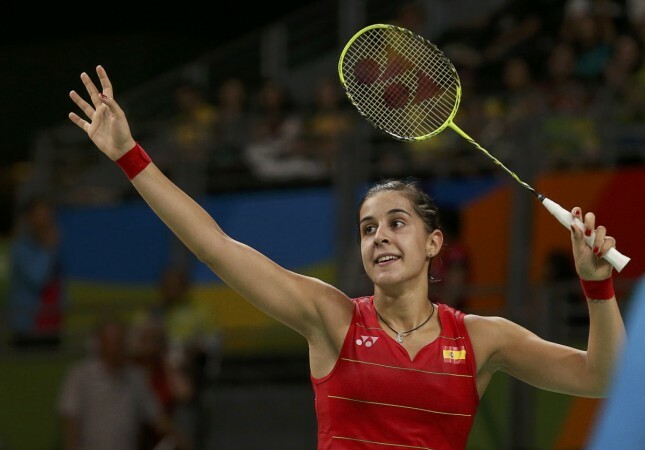 Out of this Saina Nehwal and PV Sindhu have also confirmed their appearance in the game. However, the top shuttlers from Japan and China might give this one a miss because of a date clash. The Chinese League and the Japanese National Games will begin at around the same time. Olympic gold medalist Marin, who defeated PV Sindhu, has also confirmed her presence at the PBL 2017 event. Apart from this Axelsen will also be seen taking a part in the games. It has also been said by the organizers that they paid Rs. 39 lakh for the games, even though their initial budget for her was Rs. 65 lakh. Apart from the physical ticket counters, the badminton enthusiasts can also book tickets at online portals like bookmyshow. You can choose the venue and the dates and book your tickets online now. The online ticket booking links have not been become active yet. They will become active soon. Premier Badminton League also known as the Indian Badminton League (IBL) is a popular franchise league which established on commercial purpose by the Badminton Association of India. Earlier in 2013 the first ever Indian Badminton League was inaugurated, the opening ceremony of the first season of Indian Premier Badminton League held on 14th August of 2013 and matches conducted up to 31st of August 2013. The most highlight features of Indian badminton league consist of 6 teams from various cities of India and also in includes various popular players from different countries. The main motive behind the establishment of such league on the badminton sport in India is to develop the sporting event across the nation. In addition to that, the league consists of foreign players who mingle with the local and national players of India which results positive growth over the game India. Though, the event conducted in commercial mode by the owner Badminton Association India, the idea is to popular the sporting event of badminton across the nation and to motive youths to get involved in the badminton sport. The first ever Indian badminton league was planned to the badminton association of Indian in 2013 and the auction of the players are planned to be held by 30th of June 2013, but due to some reason it’s got postponed to July month of 2013. With 6 teams participated the tournaments, players from all over the world showed their interest to play and make themselves available for the auction which held at Delhi which conducted by the International Auctioneer Bob Hayton. However, the Chinese players prefer to ignore the first tournament conducted by the Badminton Association of the India. The tournament was planned to be conducted in Double Round-Robin method and also in Knock-out method, with the same procedure the tournament successfully ends. The upcoming sections elaborates the players and teams who participated in the inaugural tournament of Indian badminton league which held in 2013. The premier badminton league consists of 6 teams from various cities of the nation, each teams consists of series of players which includes foreign players too. Below listed table consist of the list of teams playing in premier badminton league. The team Hyderabad hotshots is captained by the Indian badminton superstar Saina Nehwal and team has Mr. Rajendra as the coach person, also the team has the ground from its own state Hyderabad ‘Gachibowli Indoor Stadium’ as its primary home ground. The team Hyderabad Hotshots consists of seven Indian players and four abroad players along with the 4 supporting staffs which includes the coach Mr. Jakkampudi Rajendra Kumar, Assistant Coach Mr. Anil Kumar, the team Physio man Mr. Kiran and finally the team manager Mr. P V Sarada. With the brilliant show, the team Hyderabad Hotshots beats Awadhe Warriors in final and grabbed the championship. The team Mumbai Masters owned by the 3 popular persons Sunil Gavaskar, V.Chamundeswaranath and the Telugu actor Akkineni Nagarjuna. The team Mumbai Masters captained by the Lee Chong Wei from Malaysia, Lee Chong Wei owns the record of bagging two time silver medals in Olympic event and the he was the world number 1 players during the first season of the Indian badminton league which held in 2013. The most interesting fact about the event held in 2013 is the captain of Mumbai Masters and world number 1 player in 2013 Lee Chong Wei was purchased for the cost of $135,000 USD by the owners of Mumbai Masters on 2013 auctions. With the combination of 7 Indian players and 4 abroad players the team Banga Beats had Kanteerava Indoor Stadium as its home ground. The team Pune Pistons based in the city Pune of India, and the team owned by the multiple person Mohit Burman (Who owns the Babur group) along with the co-owner Savan Daru. Under the head coach of Mr. Nikhil Kanetkar the team Pune Pistons led by the captain Ashwini Ponnappa. With the brilliant performance, the team Pune Pistons managed to reach the semis and ended in 3rd position of the inaugural tournament which held in 2013. Under the head coach of Mr. Rashid Sidek, the team Delhi Smashers was captained by the Indian Players Jwala Gutta. The Delhi Smasher displayed a poor show in the first edition of the tournament which leads them to not qualify for semis and ended the tournament with the 5th position. The team Awadhe Warriors was captained by the Indian badminton star Saina Nehwal under the head coach of Malaysian Player Mr. Muhammad Hafiz Hashim. The team displayed a brilliant show and reached up to the finals where they lost to the Hyderbad Hotshots and ended as the runner of the opening edition of the Indian badminton league. The second season of Indian/premier badminton league, also named by including the sponsor’s name in it as Star Sports Premier Badminton League 2016. The second season which held in 2016 was carried for 15 days from 02 January of 2016 to 17th January of 2016. Due to the conflict with the international schedule and other issues happened in between the Badminton Association of India and Sporty Solutionz, the second edition of the Indian Premier League delayed to 2016 with the new name of Premier Badminton League, which was originally planned to be conducted on 2014. The second edition of the badminton league was won by Delhi Acers by beating the Mumbai Rockets in their home ground with the points of 4-3 and grabbed the prize money of US $ 1,000,000. The knock our stage of semifinals held between the teams Delhi Acers – Chennai Smashers and Awadhe Warriors – Mumbai Rockets at Bangalore and Hyderabad respectively. Just like the first edition of the badminton league, the second edition too had 6 teams with the inclusion of various players from all over the world. Also some of the teams gets new name and few new teams too included after withdrawal of few teams who participated in the first edition. And similar to the first edition of the tournament the broadcasting rights purchased by the star sports in Indian region and the channel Fox sports purchased for broadcasting the game in Hong Kong region. Rules Followed in Indian/Premier Badminton League in both editions. The matches will be held in the mode of Singles, Doubles respective to the gender basis and also Mixed doubles will be conducted in the TIES stage. Also, each match will be played with the best of 3 games with the maximum points of 15. Apart from the TRUMP match, all other matches will be played with the scoring point of 1 for the winning teams and 0 point for the losing team. However, in case both the playing team pick the particular match as their TRUMP match the winning team gets extra +2 bonus points and losing side extra negative 1 point. When it comes to break pattern, there will be the 1 minute break time for each game when the leading scorer of that particular game reaches 8 points. And there will be time gap of 5 minutes in-between the matches in the tournaments. The points won by the teams played in the tournament won’t be considered while the same teams plays in the knockout stages which includes semi final and final matches. By having 10 players on each team, during the TIES stage each team should approach the state with the participants of minimum 4 Indian players, who supposed to play 2 matches in TITES stage. The badminton league which conducted the badminton association of India might had few controversies owing to that the schedule of second edition got delays by few years, however, the sprit which created among the Indian badminton lovers is truly fantastic and fans across the nation is expecting the league to continue on yearly basis. Also with the participants of the national and abroad players from all over the world, the local badminton players has the opportunity of learning more about the games and also the tournament leads to understand the strategies and approaches carried by various players all over the world on approaching the game. The establishment of such league tournament in India would surely boost the badminton gaming sprit among the Indian youths who often known as the die-hard fans of the game Cricket which considered as one of the religion of the nation.